I sent bf this photo of a house and this conversation happened. Haha. Him: Wah! 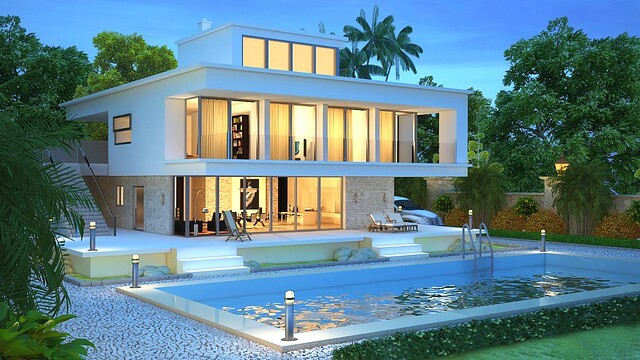 This house nice! You like? Him: Ok... When you want me to rob bank? I plan. Me: Up to you. I anything. Him: Ok..... Most probably you staying in that house alone leh.... Cos I will be in jail liao. Me: It's okay. Right from the start also never want you to move in. Haha! 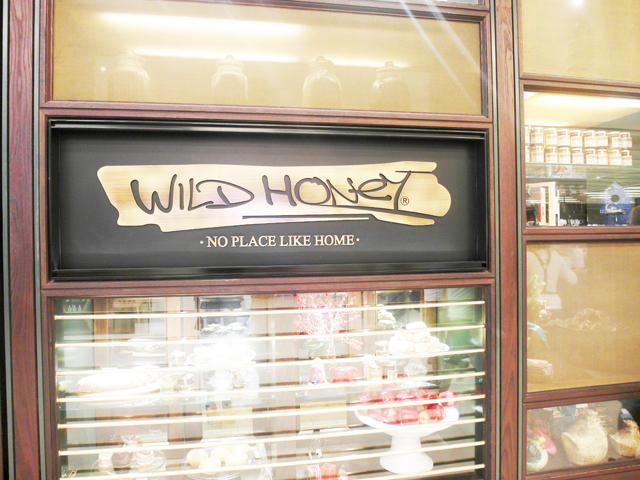 Finally had a chance to have brunch at Wild Honey after hearing rave reviews about it from my friends! We did not make any reservations, and were told to leave our contact number and wait about 45 minutes. Remember to make reservations when you go! 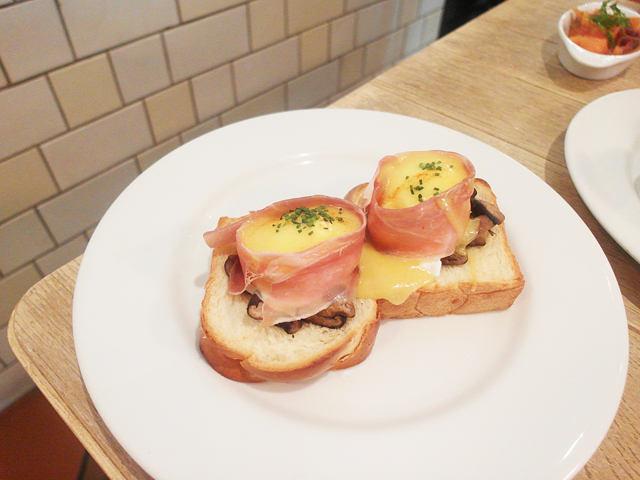 I had the Eggs Benedict and I love how it is done, very yummy! 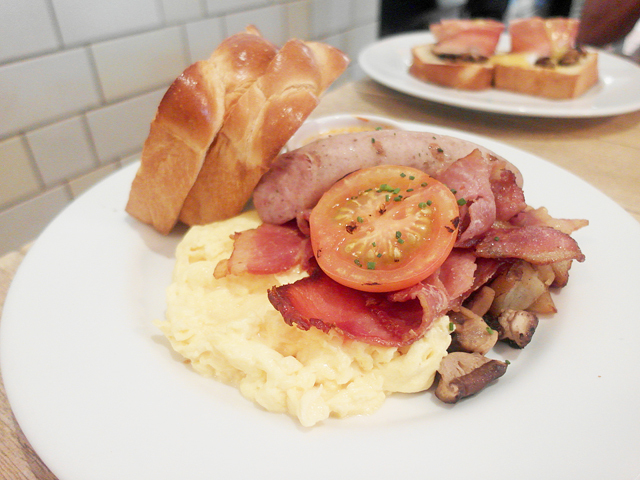 The bread is too thick and plain though. But if I come here again, very likely I will order the same item! 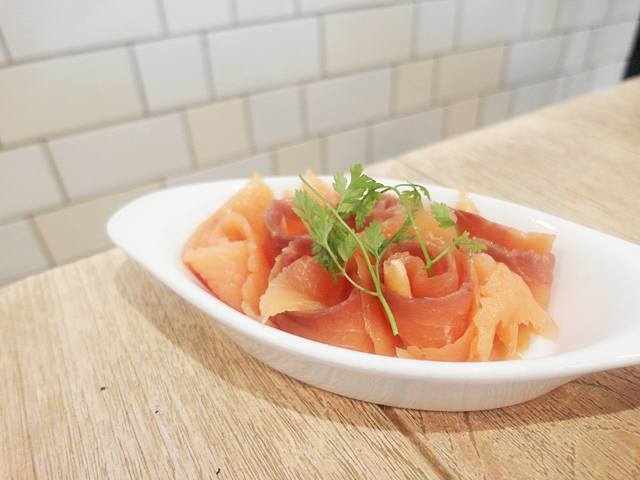 Also ordered additional side of smoked salmon because I was craving for it! 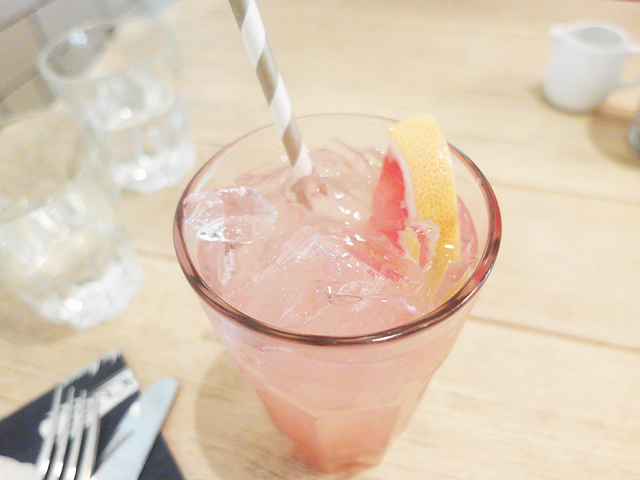 We were seated in a long table, shared with two other customers. Although it is quite rude, I love eavesdropping on others' conversations while dining in restaurants. I particularly like to listen to how certain couples talk and think in my mind which stage of relationship they are in. The polite ones that try to impress each other? Probably fresh, still dating and unconfirmed. Those lovey dovey types? Honeymoon stage. And then there are the types like me and my bf, the quiet type. Either too comfortable or hate each other. Haha. 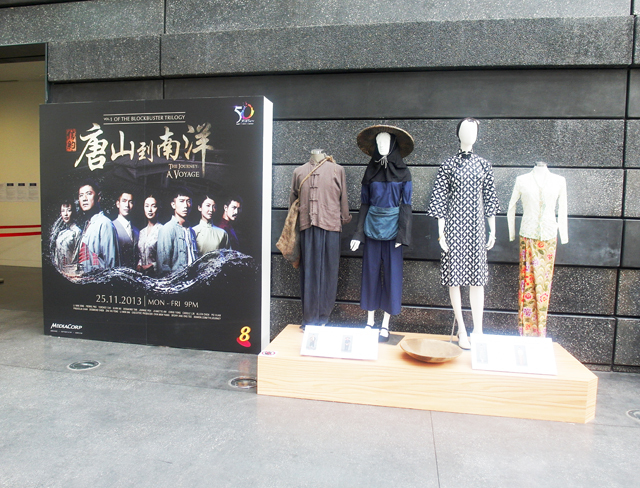 Afterwards, we went to the National Museum for the exhibition - 50 years of television. 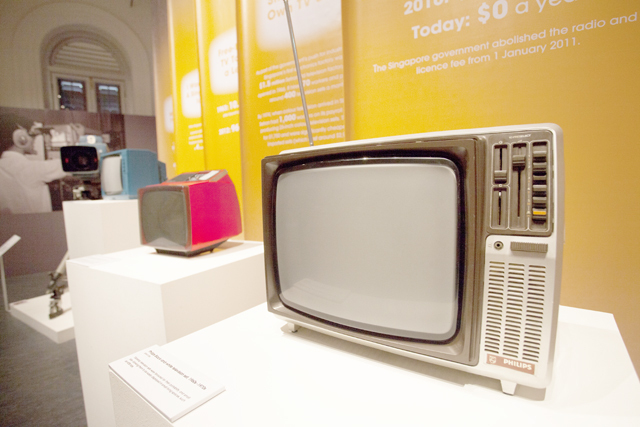 I am a huge fan of the local TV since I was a kid, so I was quite excited to visit ever since I saw the advertisements for the exhibit. 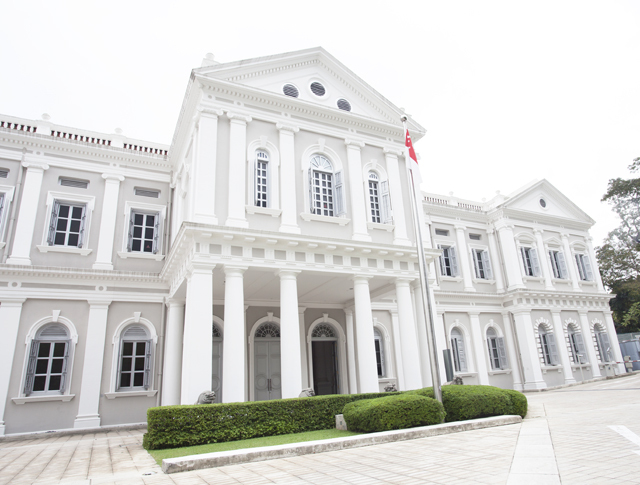 Always in love with how beautiful our National Museum looks. I remember how we used to watch old local sitcoms on a television set this size in my parent's bedroom when we were kids. Now, I still watch shows on something small like this, except that it is my laptop instead. Haha. 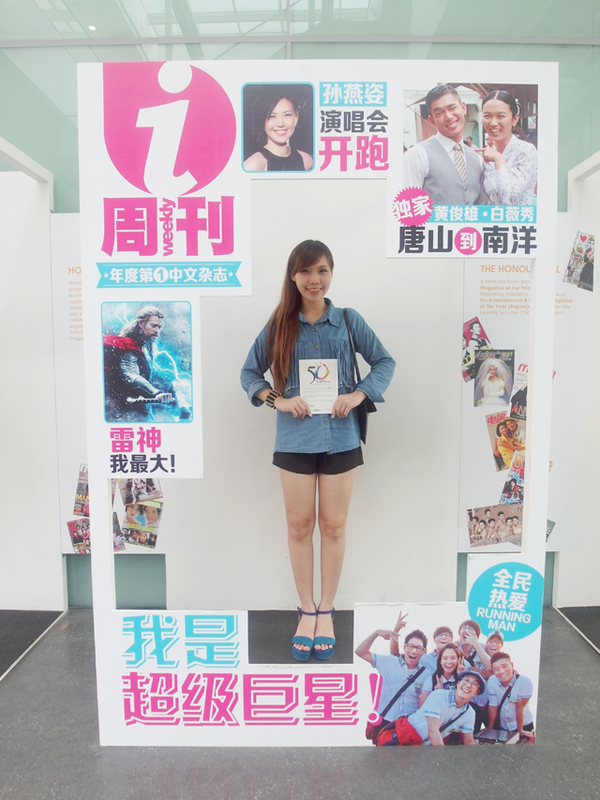 Check out how pretty Chen Li Ping and handsome Li Nan Xing was in their youths! 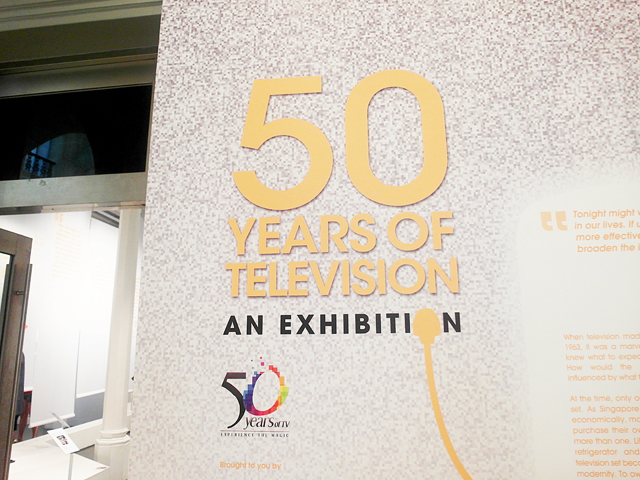 Perhaps when I am 70+ years old, I will visit 100 Years of Television exhibit and see old photos of the current stars! Wall of old magazine covers. Wall of fame. Which characters here do you recognize? Watching The Journey: A Voyage now! Quite nice! 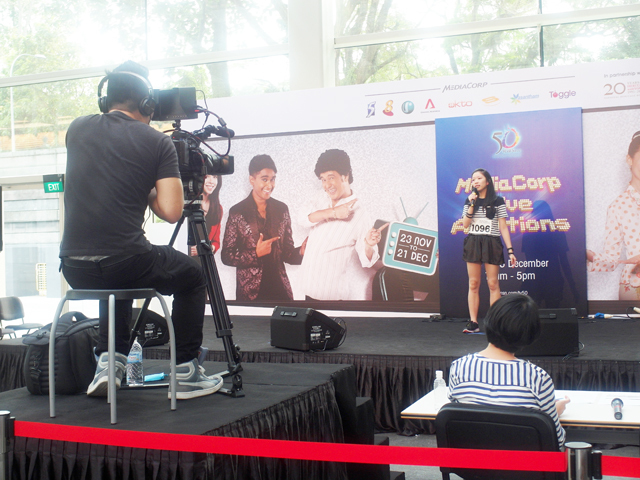 Saw that there was a Mediacorp Live Auditions going on so we stopped and watched the performances by some of the contestants. 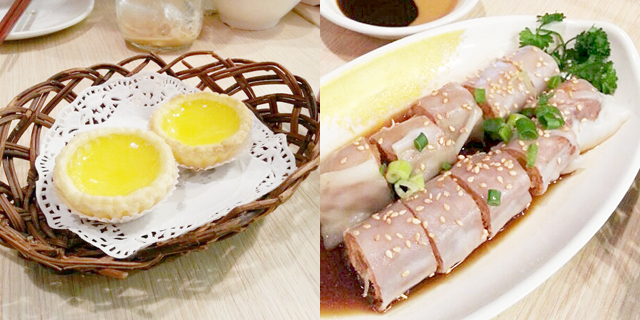 We went to Nex to catch a movie afterwards and before that, we had some time for dinner so we settled for simple Hong Kong food. 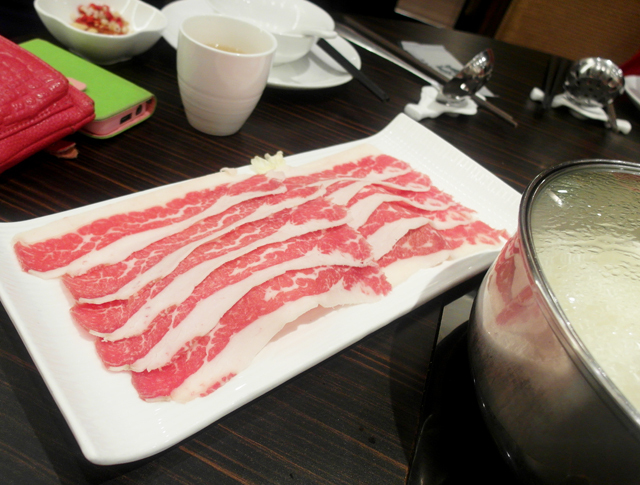 However, I was still full from late lunch and because we were rushing a little for the movie, I didn't quite enjoy the meal although the hotpot was kinda good. Some time back, Bf brought me along to his family portrait photo shoot and that was the first time I saw him looking suave in a formal suit. Haha. 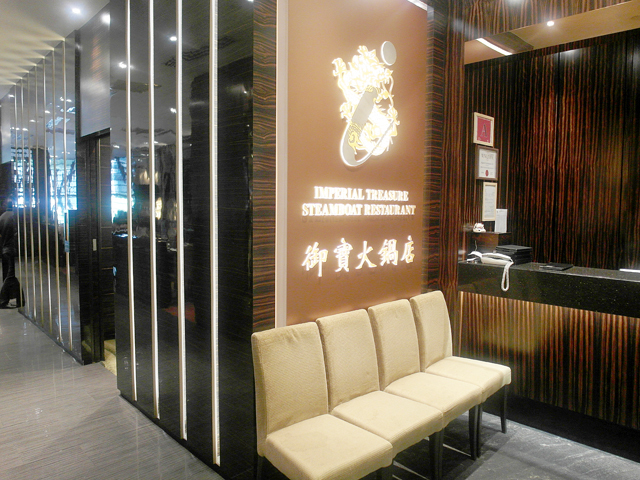 After the session, he brought his mum to Imperial Treasure Steamboat Restaurant at Ion for lunch and I want to share this place with you all! There were two pairs of chopsticks set for each person. One for raw food and one for cooked food. I felt that such an arrangement is quite thoughtful and hygiene. 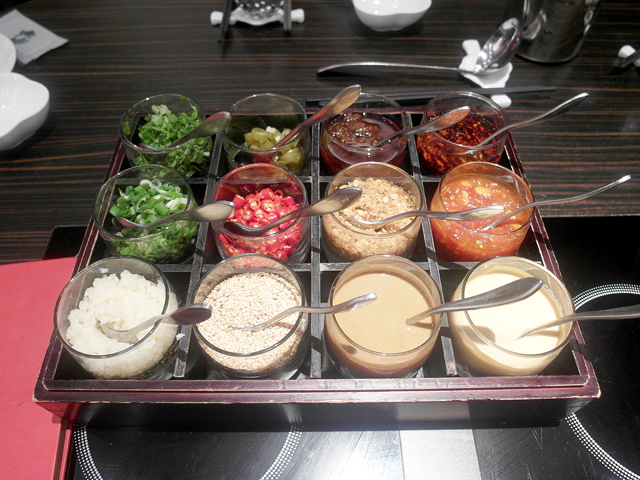 First, we were given 12 types of sauce and condiments to pour into our own saucer before it is taken away. These are charged at $2 per pax. Not sure if it is compulsory, because everyone at my table was charged even though I did not take any at all. We selected two pots. 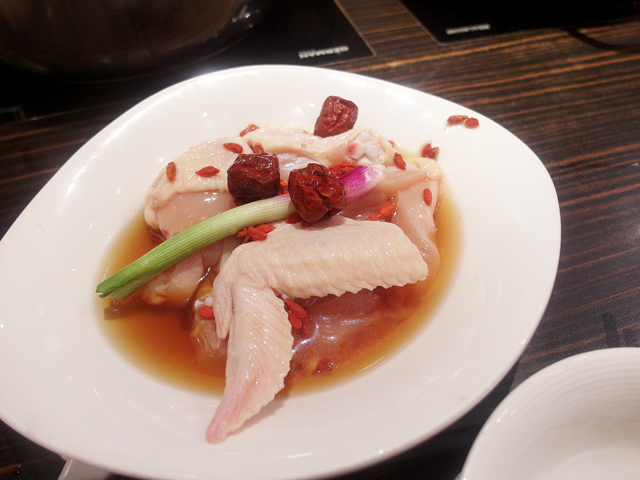 One was traditional pork bone soup ($15) while another is chicken soup ($15). The soup was the highlight. 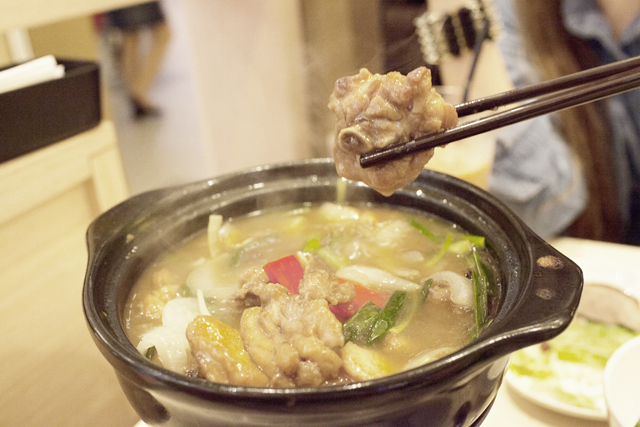 Not too sure about the chicken soup, but the pork bone soup was AWESOME. It was thick, flavorful and very good. 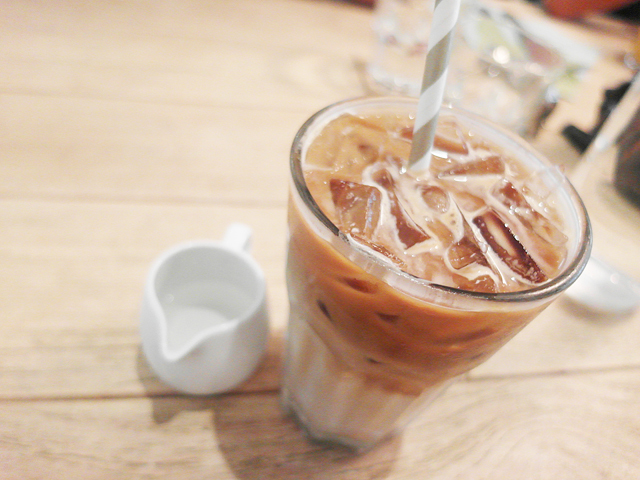 I am craving for it right now as I type! The soup itself is enough to make me want to go back for some more. 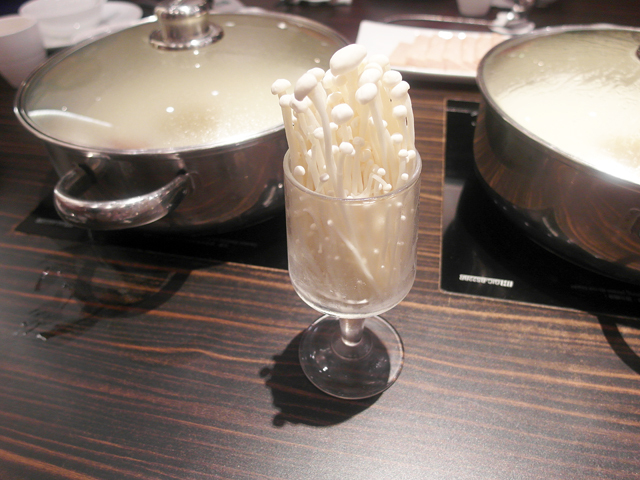 The udon is also super nice and bouncy and unlike any other udon I have had before! 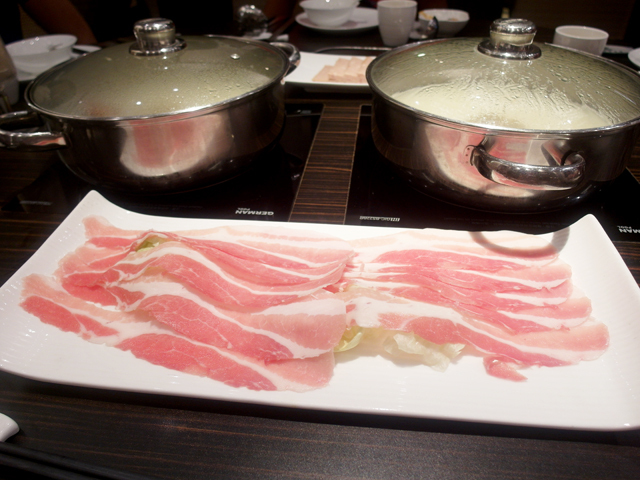 Of course, I had to have pork belly slices when having steamboat! 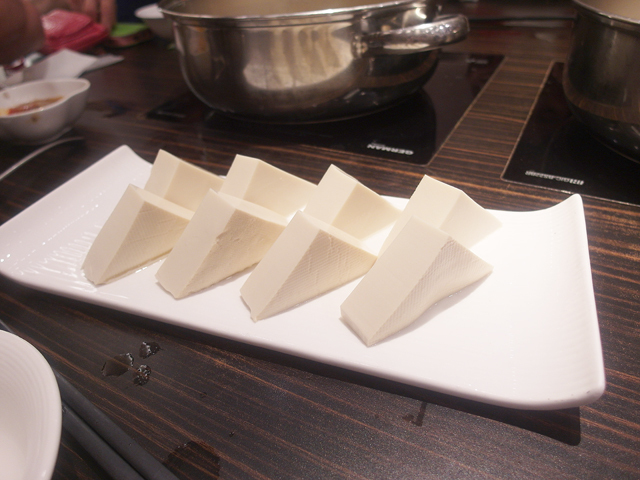 Quite disappointed at the tofu, because I was expecting the smoother and softer type of chinese tofu. Personal preference. 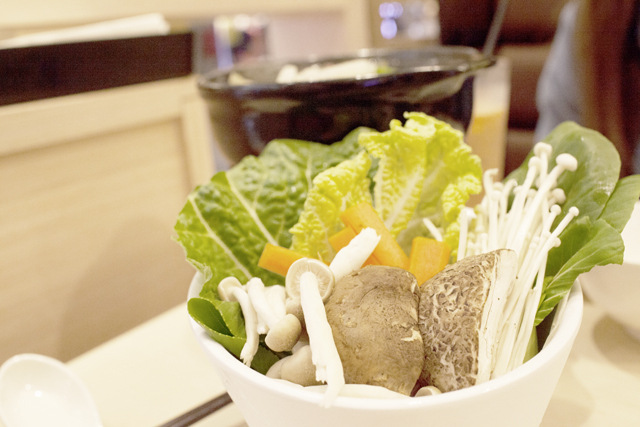 Order two baskets of assorted vegetables as we are not sure which type to order. We had a staff all to ourselves to attend to our food and needs. The service from the guy serving us was prompt and good, although another staff who took our orders was much less smiley and forget 1-2 of our orders. Total bill came up to almost $240. It was considered pricey as we did not eat a lot. 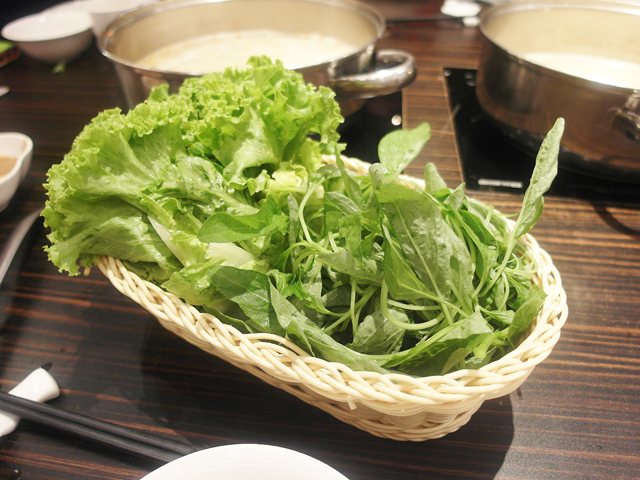 However, I would come back again because of the soup, fresh food, clean and quiet environment. 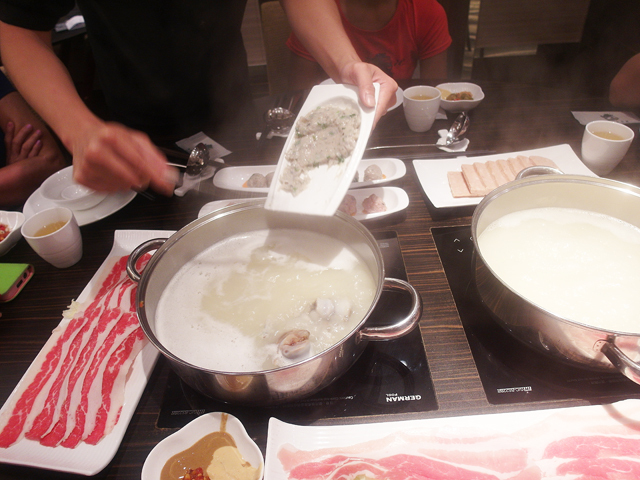 Also with the aircon, we could eat steamboat without feeling stuffy. 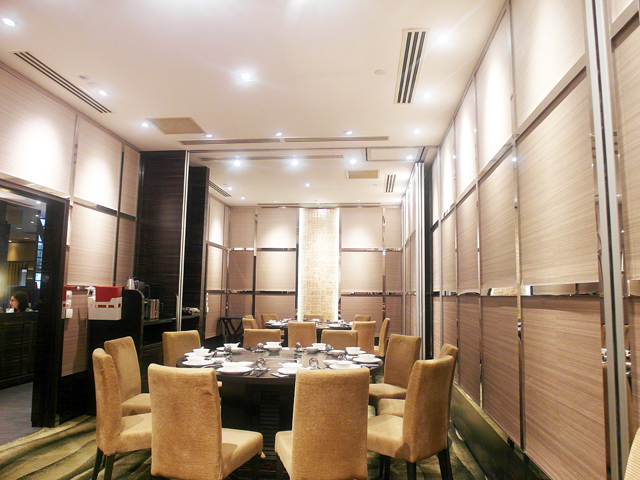 The ventilation was also good enough that we did not come out of the restaurant stinky. I highly recommend this place for comfortable steamboat! 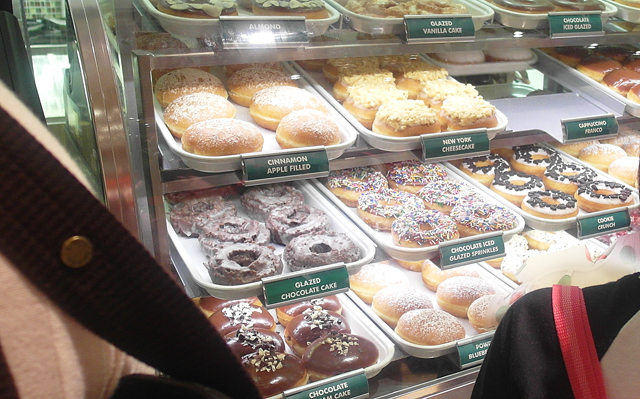 Afterwards, we went for some shopping and as the queue at Krispy Kreme was short, we went to get some for our families. After trying almost all the flavours, I think my favourite is still the original glaze. 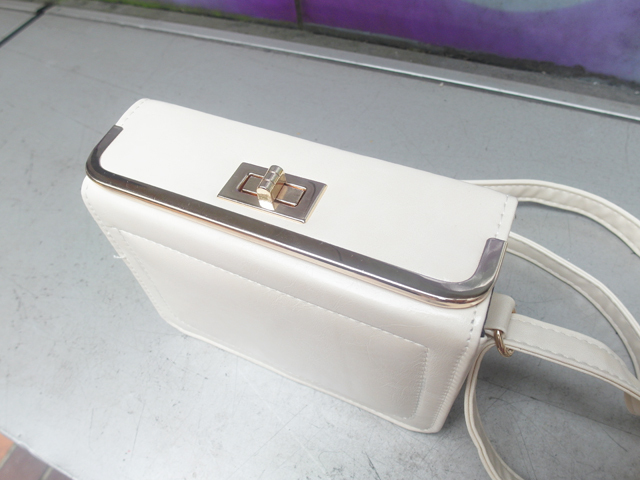 Paired with this bag from www.hurs.sg, which came with a special top opening. Love this bag to bits! So pretty! Afterwards, I joined my family, aunts, uncles and grandparents for my grandfather's birthday dinner! What a feast! The crab was huge, even the "paws" was bigger than ones' palms. There really isn't any point to this entry except that I am really craving the steamboat and huge crab now! Was invited for a food session at Dim Dim located at Marina Link, and brought my sister along. Both of us went after work so we got there separately, and she got annoyed because she walked the whole of Marina Square but could not find the place. 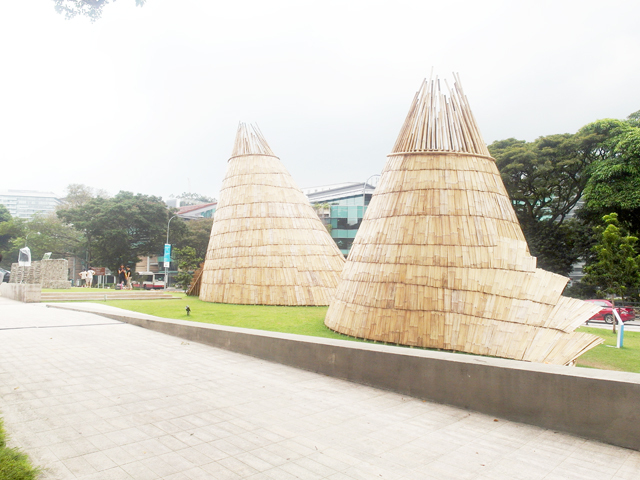 You know how Marina Square is a + shape? Walking to and fro is really tiring one! Haha. 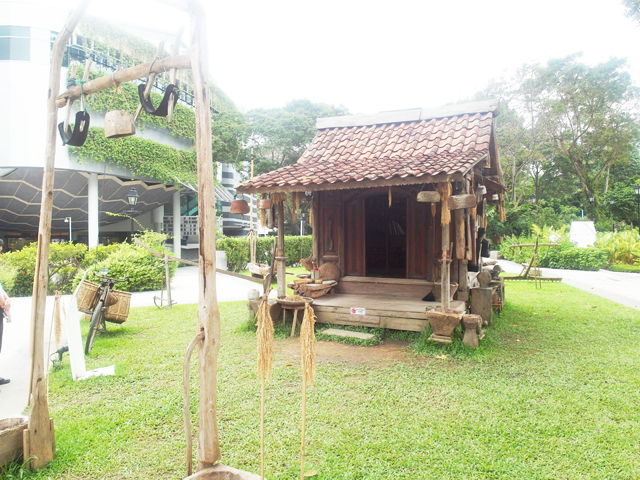 Turns out it is located at an extension which can be accessed from The Dining Edition. Jacelyn was there too! 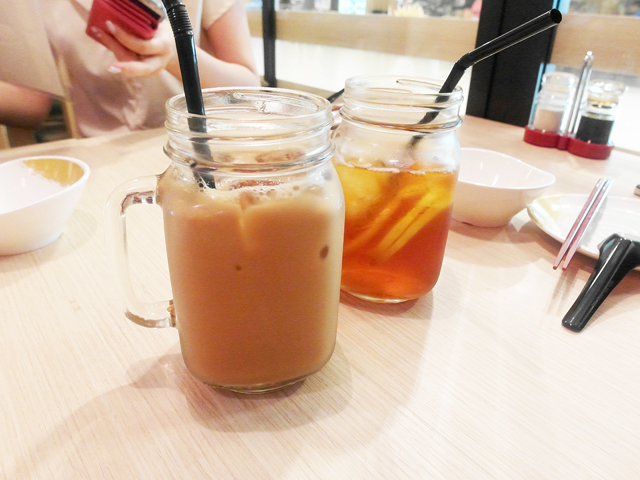 I had Hong Kong Milk Tea ($2.60) while she had Ice Lemon Tea. We had the Cuttlefish and Peanut Congee ($5.00) to start! 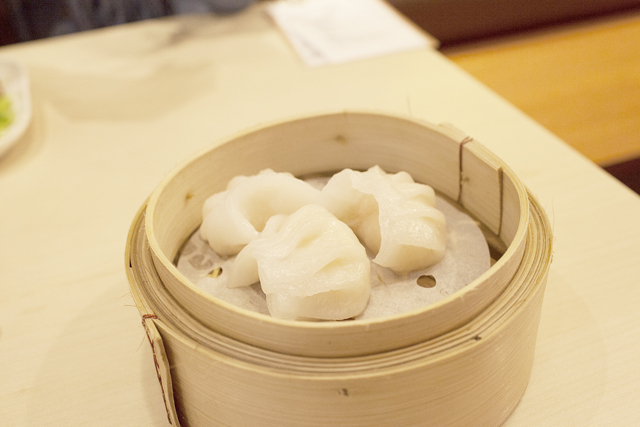 The Steamed Prawn Dumpling "Ha Kau" ($4.20) was my favorite dish that night. 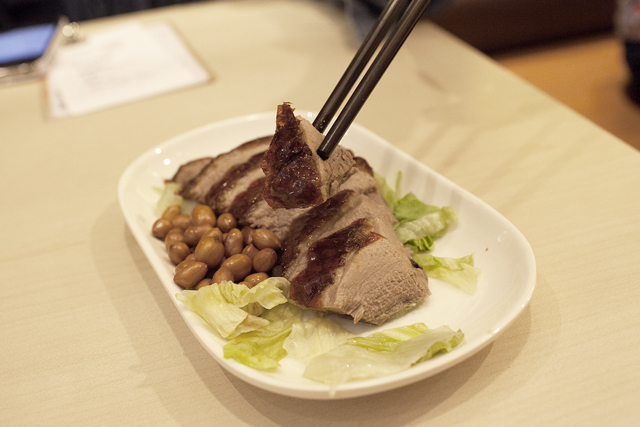 Good Ha Kau is not easy to find and most places serve mediocre ones, but the ones here were done well. 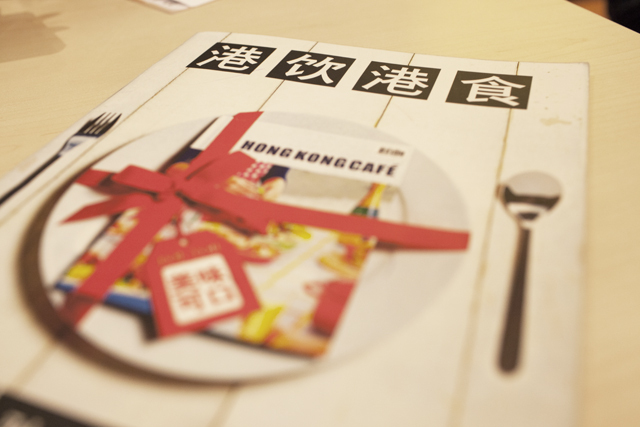 Handmade with fresh, plump, juicy prawns and wrapped with skin that is just the right taste. Baked BBQ Honey Pork Bun Coated with Crispy Butter ($4.20). Crispy on the outside and savoury inside. It is one of Dim Dim's speciality and popular dish, baked with melted sugar and cream on top of the bun. 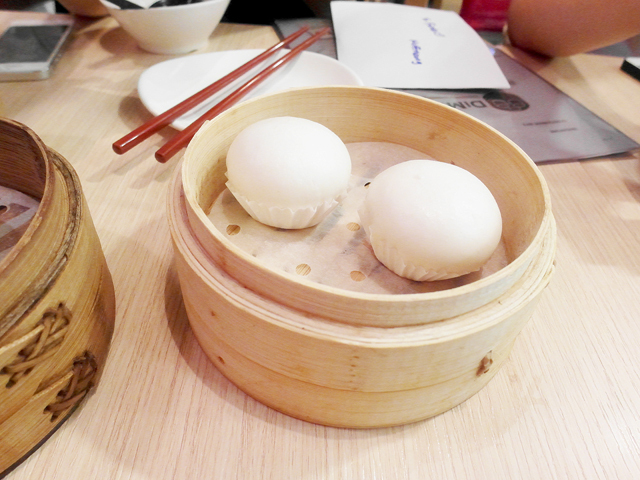 The Steamed Custard Bun ($4.20) was surprisingly good too, as not many place makes me give the thumbs up. 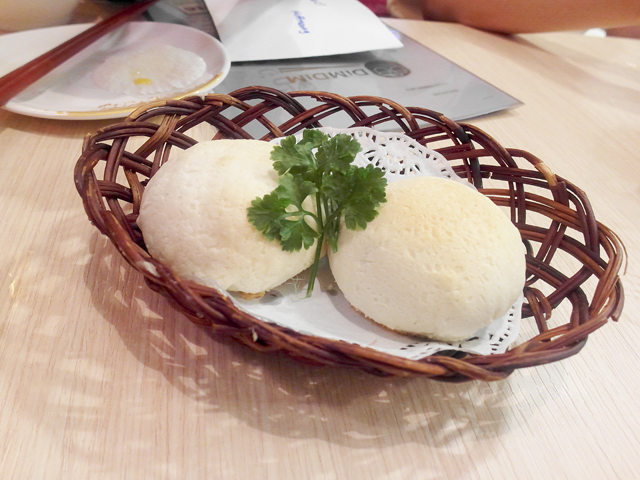 In Chinese, it is called "Liu Sha Bao", and remember to enjoy it hot for maximum pleasure. 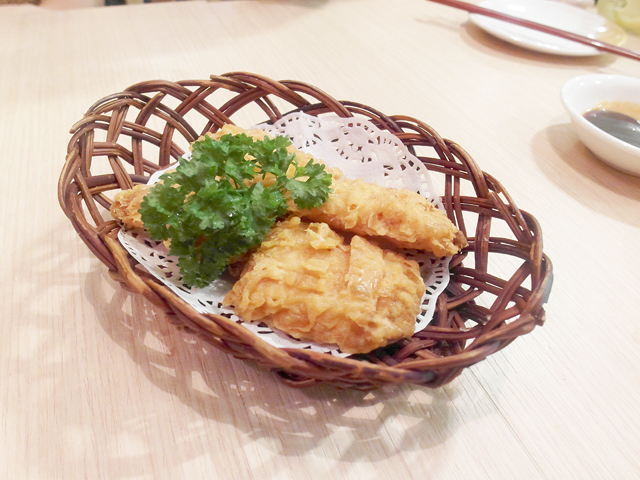 Deep-fried Shrimp in Beancurd Skin Roll ($4.60), one of the items I always order when I have dimsum! Love the generous, juicy shrimp filling wrapped in crispy skin. 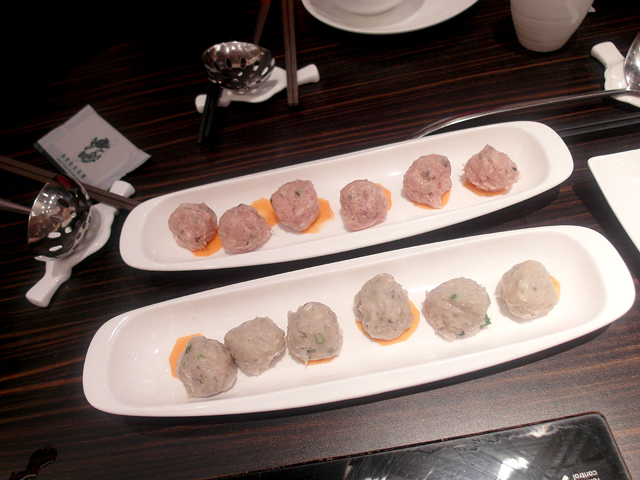 The Steamed Cheong Fun with Chinese Dough Fritters ($3.60) is an interesting combination for all of us at the table. 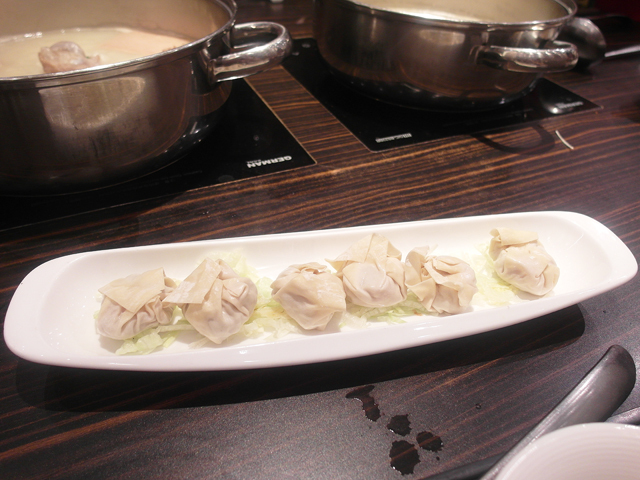 Love the texture of the silky smooth and thin Cheong Fun, soaked in their special peanut and seafood sauce! 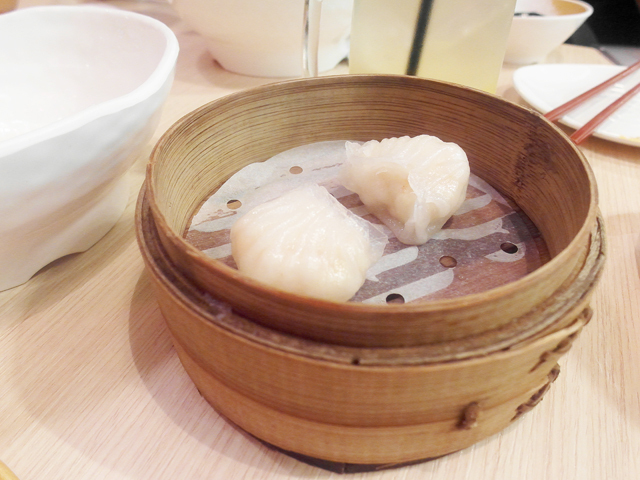 Besides being affordable and good, the Dim Sum at Dim Dim The Hong Kong Pantry is also 100% handmade using the freshest ingredients and served piping hot. Definitely important for a Dim Sum restaurant! *Usual portion is 3 pieces per basket for some of the items. Yesterday, I went for a dental consultation to decide if I should do Invisalign. If you do not already know, Invisalign is a type of clear retainers that are changed monthly to slowly straighten the teeth, and is a prettier and less painful alternative to braces. 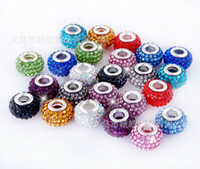 Also, they can be conveniently removed anytime on your own, to ease eating, etc. I have never considered braces, because I always felt that braces are not only ugly, they are painful too. My teeth is not perfect, but it looks okay in photos and it's not really very crooked nor does it affect my smile, so I never felt that it was necessary. However, I realize that although my face looks okay frontal, my side view is terrible because my mouth is protruding due to my slight overbite. I look horrible in candid photos because of this reason. I thought that Invisalign can help push in the teeth so I was very excited and thought that it can help make me prettier! But after the consultation, I was told that Invisalign is unable to help aesthetically in what I want to achieve. To get the results I want, I have to extract two teeth and wear traditional braces. I have a choice of getting ceramic braces which are less visible (metal ones are a huge no-no for me), but I still think that the pain will be terrible and the braces would be very inconvenient for me. 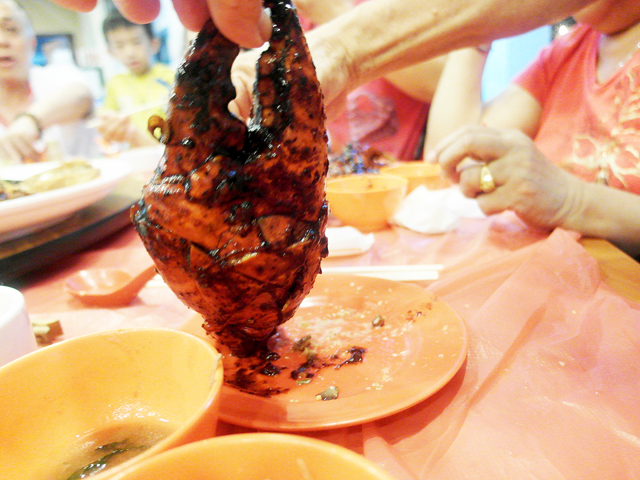 Will be quite difficult to eat food like my favourite bbq chicken wing right? Plus, during the period that my braces are on, my lips would probably be even more protruding! It takes at least 1.5 years to 2 years, so I'm not sure if all that trouble is worth it? My job doesn't require me to be pretty, so I do all these for what? Sounds like a big sacrifice for nothing. Can someone tell me that braces is really more pros than cons? I am also reluctant to remove two proper teeth at the side because they are still working fine and the only reason for the extraction is to push the front teeth in. But the thought of having two big gaps for some time sounds super ugly! Sigh, if only Invisalign could achieve the result I want! But if Invisalign really cannot help push my front tooth in, I also don't want to waste time! Does anyone here have any advice? I always feel troubled by my protruding side view but does beauty really matter? I am already 23 this year and 24 next year. By the time I'm done with braces, I would be 26. 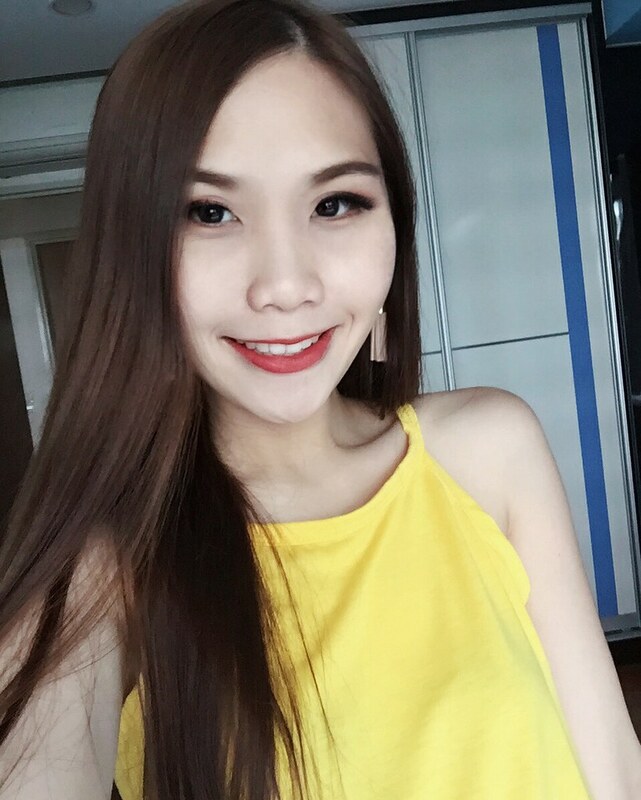 Does beauty still matter at 26 years old for a normal office girl like me? Is it worth it to potentially look ugly and feel discomfort during my prime age of 24 - 26 just to have nicer teeth at 26? It's not like my teeth is very crooked now. Opinions please? Anyway, during the consultation, I learnt that my 4 wisdom tooth are out already! One of them is growing side ways instead of upwards but surprisingly it doesn't hurt at all from that side! But it will create trouble in the future so I guess I will have it removed. The one that is hurting me now is another side, which will require surgery. I am so afraid! I was hoping and hoping that my wisdom tooth would be straight and not require any extractions but sadly, all four are not growing correctly! Should I remove it one at a time or two at a time? Oh, and for everyone's info, my pain treshold is extremely low. And I am afraid of everything. 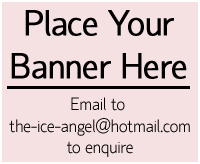 Do leave a comment here via Imotiv or on twitter or on Dayre or email me (the-ice-angel@hotmail.com) ! Thanks! 70% of the time I take a taxi, I get annoyed by the taxi driver. So whenever I get to have a peaceful good ride from a polite driver during the other 30% of the time, I am especially thankful and happy. Here's my list of Taxi Driver Pet Peeves inspired by those 70% of the time. 1. Those who don't know their directions. When I was a kid, I remembered that all taxi drivers knew their routes. I was extremely impressed at how they know where everywhere was, and thought that they had to learn it in taxi school and had to know before they could graduate and get their taxi driver licence. But these days, I get plenty of taxi drivers who do not know their way at all! I understand if some are not clear about the smaller or ulu roads, but I have even met some that needed me to guide at every turn throughout the WHOLE 25 minutes journey!!! I had to switch on my own GPS on my phone to direct him. What if I was a tourist? Or if it was my first time to my destination and I don't know which turn to take? Then I pay more for the taxi to turn round and round and round and let the meter go on and on and on until we find the place? I think all taxi drivers should have GPS installed in their car. Or they can take the initiative to use the free map apps on their smartphones. Or, check the street directory book like all old taxi drivers used to do. I hardly ever see them use it anymore. Now they just expect the passengers to spoonfeed them. 2. Those that argue back. Some taxi drivers obviously took the longer route, and then still had the cheek to be rude and argue that it's the same when I point it out! Excuse me uncle, how would I not be familiar with the area around my house? Afterwards, I even went to check the map and indeed the route was longer. Wouldn't be so pissed if the driver just said sorry (or kept quiet) for taking the wrong way instead of arguing for his own mian-zi (face). I encourage safe driving, but some drive at a ridiculously slow speed on clear road, even on expressways!!! Some chose to follow behind a huge slow truck when there are many other clear lanes which they can turn to. And they are slow and blur at everything. Slow reaction, slow at stopping the car, slow at taking money, slow at finding change -_-"
Omg, I super hate to entertain cab drivers, especially when I am not in the mood or just had a tired day! Some ask really stupid questions and I feel rude if I do not answer. Some people probably like friendly, talkative types but nope, not for me. I've met some that drop me off some 100metres away from my destination because they refuse to be caught into a jam. I'm okay if you asked and I'm agreeable, but not okay when you force me to walk that distance when I'm in heels and carrying heavy stuff. All for that 20 cents? Uncle, I don't mind giving you the extra 20 cents if you drop me off at the exact spot I wanted. Dropping me off 20 metres away means I have to walk all the way back! Hello, know how to drive one or not? I always feel nauseous in such cars! Those that keep argue and argue and argue or complain and complain and complain. Attitude problem. Sigh. I can't think of any other traits at the moment but I know the list will grow. What are some pet peeves you have with taxi drivers? What's your favorite kind? I have met nice taxi drivers who talk, but know when to stop. I have met nice ones who are willing to wait for me while I withdraw cash or buy food. When a driver is nice, it makes me really happy and in turn I would want to be extra nice to them too. Not all taxi drivers are like what I described above, only some. But every time I am running late, I confirm kena one that is blur + slow + don't know the directions one. Maybe it's just my luck. 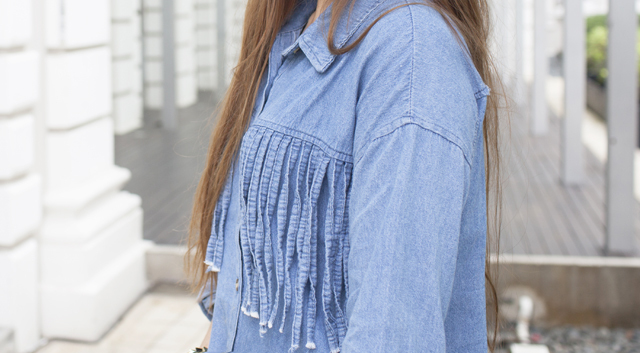 Last weekend was a casual day out so I wore this Denim Jacket out! At first I thought that I will feel super warm inside due to the horrible weather in Singapore, but surprisingly the material was quite breathable and I did not feel stuffy at all the entire day. Now that I look at my photos, I feel that I should have tied my hair in a high pony tail to match the outfit! I got the jacket from the established online boutique MIUEE.COM, and how the model styled it was with a pair of jeans which I feel was very stylish! You can either wear it as a top like I did, or wear it as an outerwear. When I got home, my sister told me she loves it so now it's hers! 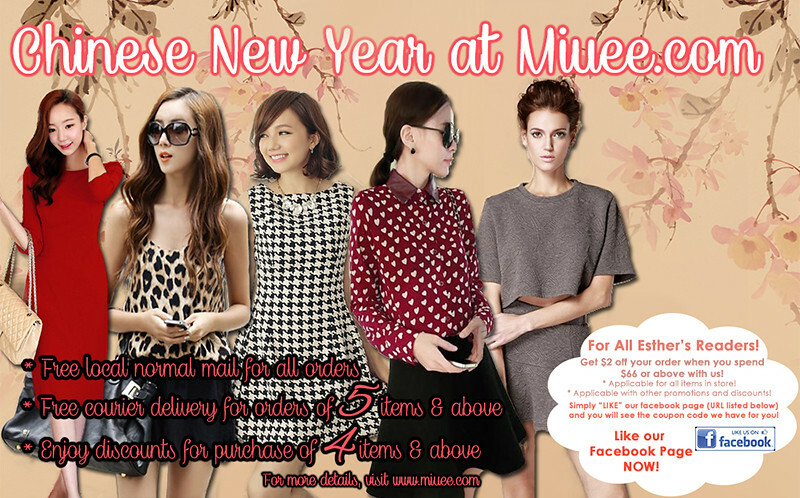 Chinese New Year is coming soon and Miuee is already launching their promotions! 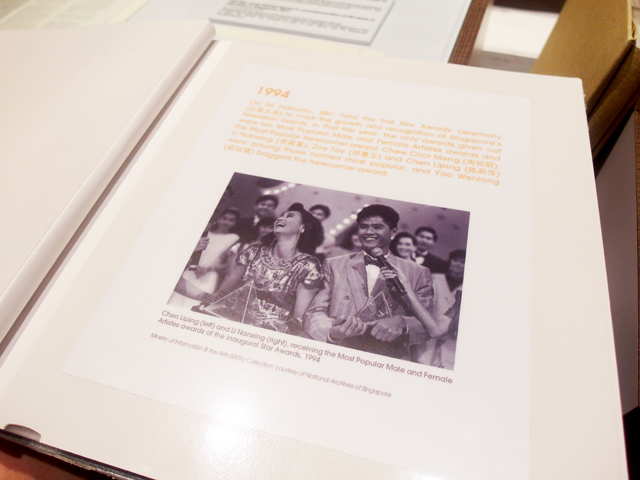 Besides free local postage, there is also a special discount just for you readers! Click HERE to redeem it!